For our final afternoon giveaway of the week, the crew from Antec is looking to give your next computer build a new home. 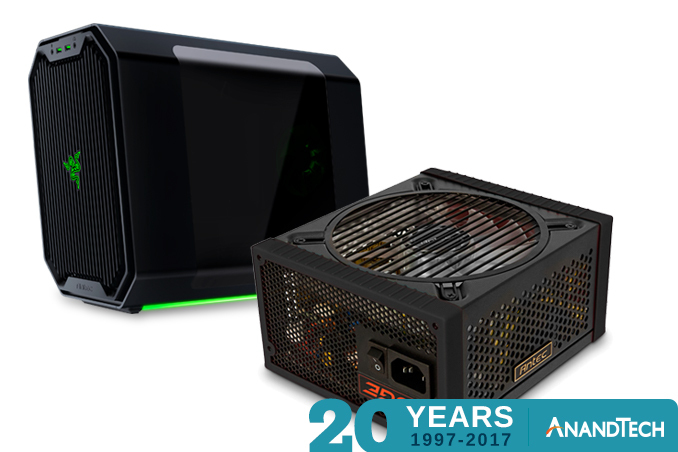 The centerpiece of today’s prize is an Antec Cube (Designed by Razer) Mini-ITX case, the company’s flagship small form factor case. Meanwhile to help power the Cube and its contents, the company is also kicking in one of their 650 Watt Edge power supplies. Starting things off, at the heart of today’s prize pack is Antec’s latest Cube Mini-ITX case. 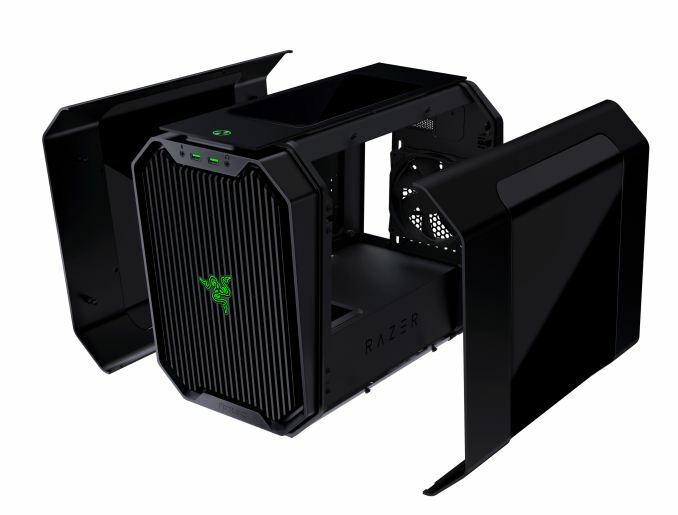 The case, designed by Razer and literally branded as such, is 14.4 inches tall and features a swept angle design that makes the case more of a parallelepiped (3D parallelogram) than a traditional box case. A case meant o be seen, the top and both sides feature acrylic windows, and Razer-green LED lighting is installed in various points of the case. Internally, the Cube can take a mini-ITX board, but features enough space for a full length graphics card, or even radiators up to 240mm in size. The case comes with one rear 120mm fan pre-installed, with room for more fans (or the aforementioned radiator) in the front. Meanwhile the PSU receives its own compartment, while the drive bays – supporting 1 3.5 inch drive and up to 4 2.5 inch drives – are on the back side of the case. 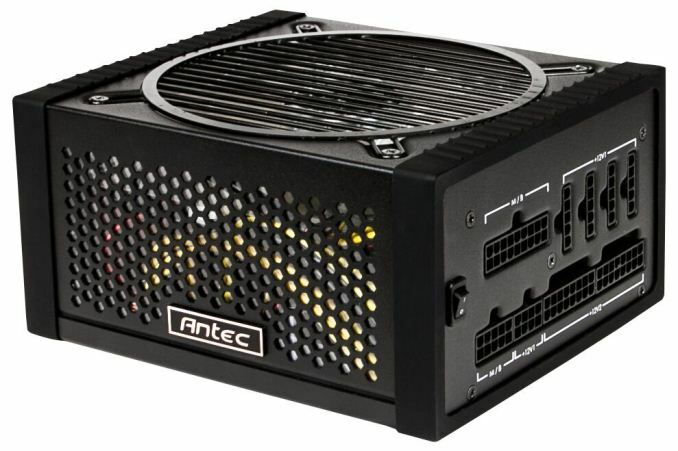 In order to power the Cube, Antec has also sent along one of their Edge-series 650 Watt power supplies. The Edge is a fully modular PSU – ATX power cable and all – sporting a number of different connector options. On the power delivery side, the PSU can deliver 648W over its two 12v rails, and at 80Plus Gold efficiency levels. Finally the PSU sports white LED lighting, which is built into its 135mm fan.